Need Air Conditioning Repair Services in Buford, GA? It tends to get quite hot in the state of Georgia, we surely do rely on our air conditioned homes to stay cooled. Nevertheless the time may come when our equipment becomes damaged and is in need of repair. On a hot summer day In the city of Buford, GA the heat becomes unbearable. If your caught in this situation, your best bet is to call Lawrenceville Heating and Air. We have a team standing by for you, our accredited professionals are ready to provide you with the best AC repair Buford GA has to offer. Our professional HVAC staff can handle all your air conditioning repairs. Our company is licensed, insured, and ready to fix your AC unit. We are able to take care of all types of problems no matter the size. Our staff will arrive at your home to identify the condition of your system and locate the problem while treating you with respect and courtesy. 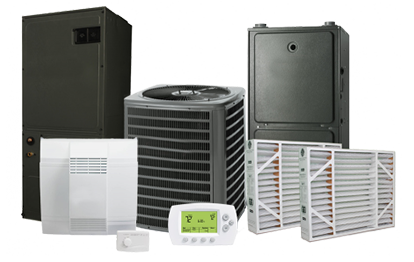 A new air conditioning system can be a significant purchase for a new or existing homeowner. We do everything in our capacity to repair your system, therefore avoiding major expenses that may be incurred. Our certified Buford air conditioning repair technicians have the experience necessary to fix all kinds of complex repairs. If we find your unit will need to be completely replaced we will assist you in choosing the best option for your next system. Instead of trying to up sale you, we analyze your home to find the perfect fit for your space and budget. When the moment arrives that you need Air Conditioning Service Buford GA, look no further than Lawrenceville Heating and Air. Enjoy top quality service and unmatched customer satisfaction at affordable prices. If you have any questions of concerns please don’t wait to call us. We are here to help you. Get out of the Heat and find the home comforts of you air conditioner now! Lawrenceville Heating and Air, AC repair experts providing first class air conditioning service in and around Buford Georgia including zip codes 30518, 30519 , and all surrounding Gwinnett County. If your air conditioning or heater needs fixing, look no further. Lawrenceville Heating and Air AC specialist have been servicing the heating, cooling, and plumbing needs of the Buford community for more than a decade. Our team strives to provide our customers with services that make them happy, so we do our best to keep them satisfied. Our locally owned and operated company has installed, serviced, and repaired many AC and heating systems throughout the Buford area. We give customers a 100% satisfaction guarantee. We offer financing options for people on a budget. We are a Trane Factory Authorized Dealer. We can also offer a lifetime workmanship guarantee. Our Buford technicians can meet your high standards. They undergo background checks, drug tests, factory training, and are registered with the state of Georgia. When we arrive to perform services, we will take precautions to prevent damage to your home or business, such as putting down drop clothes to protect the floors and area to minimize the dust we leave. Our company also covers workers’ compensation, so we are able to cover many medical issues if a technician is injured to help protect the homeowner. To schedule a service, or learn more about our Buford repair technicians, call us at (404) 495-5722 today.